Who have attended in 2008? Despite a global downturn that has been impacting the world economy since late 2008, China remains the hotspot of world’s travel market by achieving 12% growth rate for the first half of 2009, measured by number of domestic travelers. For global companies, China is no long the future. It is the present. Sponsoring or exhibiting at this event will give you the vital opportunity of greater face to face interaction and time to promote your product or services to the people who control the distribution of travel in China. The travel industry research authority PhoCusWright will formally release its exclusive report on Asia Pacific’s online travel marketplace. This presentation will give the audiences a strategic overview on how the region’s online travel market is evolving and what challenges and opportunities present to the industry. PhoCusWright's Asia Pacific Online Travel Overview also shines a spotlight on current challenges that may change the future of travel in the region. Despite a global downturn that has been impacting the world economy since late 2008, Chinese consumers continue to show strong interest in traveling outside China in 2009, according to the latest China Outbound Travel Monitor from The Nielsen Company. The latest Nielsen Outbound Travel Monitor reveals that the majority (85%) of Chinese travelers will ‘definitely’ or ‘probably’ travel outside China within the next 12 months, either for leisure or business. iRresearch will present their in-depth analysis on how the Chinese travelers research, plan and buy travel online and how the emerging channels are shifting the competition landscape. Listen to the industry’s leading research authority and understand how you can deploy your strategy to meet the growing demand. 09:55-10:25 Keynote: How the travel industry should develop the win-win partnership to maximize the value offered to the customers? Travel suppliers (hotels/airlines) and distributors are both developing rapidly, and so do the consumers in China. Some existing rules and hidden rules are no longer working, and are actually hurting the mutual benefit of both suppliers and distributors. Mr Cui will present his analysis on the current challenges among travel suppliers, travel distributors and the consumers. Mr. Cui will then introduce new rules and principles for China travel industry which centered on putting consumers first, and establishing a win-win and sustainable relationship among suppliers, distributors and consumers. It’s time for a break! Meet with a potential client, get some work done or go star gazing. Despite the global downturn, China is still the hotspot of world’s travel market by achieving 12% growth rate for the first half of 2009, measured by number of domestic travelers. China’s domestic air traffic also achieved over 20% of growth rate on a year-to-year basis. For global companies, China is no long the future. China has become the focus of a world that is looking for a way out of swamp. So what is the impact of the financial crisis has on the travel and tourism industry as a whole? Did you see the sign of recovery? What role China should play in this transformation? 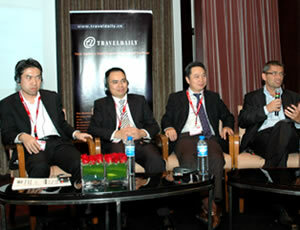 What is the best strategy for multinational travel companies when they consider entering China market? What are the biggest pitfalls and challenges while the multinational travel companies are making merger and acquisition worldwide, especially in emerging markets, like China and India? Listen to industry veteran Glenn Fogel and understand how you can avoid these mistakes. Mr. Akeroyd will present the top challenges as identified by travel agents, airlines and hotels today, and suggest some strategies to overcome those hurdles. Mr. Akeroyd will also present some real examples of how technology is being deployed by Amadeus' customers to address challenges and make the most of new opportunities. Enjoy a delicious meal, mingle with fellow attendees and get some work done. 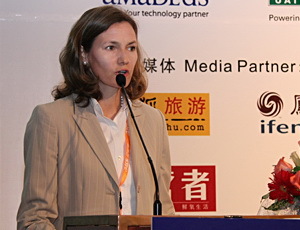 14:00-14:30 Keynote: How to Build Up the Successful Travel Supplier Chain in China? Competition in China’s tourism market is growing fiercer and demand for quality tourism services increasing steadily among Chinese tourists. Today, the core competitiveness of successful travel service providers depends on mastering innovative scientific, technological and innovative management techniques in a rigorous and thorough manner to create a value-added service chain that can deliver a decisive competitive advantage. How the restructuring of Chinese airline industry will impact the competition landscape? Given the state-owned carriers are dominating the market, will the private-owned airlines still have the room to survive and thrive? Will the pricing model of a la carte be prevailing in China? And how the airlines can leverage the fast-growing online channels and sell directly to Chinese consumers? Learn how China Mobile and China Merchant Bank are leveraging their amazing customer base and distribution channels to sell travel products. Will this present a significant challenge to travel intermediaries? It’s time for a break! Mingle with the exhibitors and fuel up on snacks and refreshments. There are hours and hours to go! Mobile technology is finally on the precipice of altering consumer travel planning behavior. New wireless applications and convergent devices are in the offing, forcing travel players to respond. The case studies from AT&T and Rakuten Travel will elaborate how the mobile technology is helping the travel companies improve the travel planning experience and make the real deal. The social media and travel search companies are expediting the business integration by adding more elements to their current business models. Kayak is integrating the Travelpost business into the search platform; Travelzoo and TripAdvisor are launching their meta search implications. All of them are striving to build the one-stop shopping platform for travelers. Will this finally happen in China? How the emerging social media will impact the way that travel companies sell the products and serve the customers? 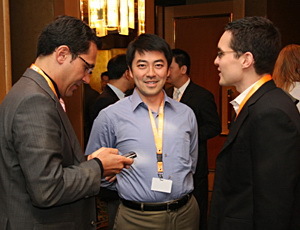 The China online travel landscape is rapid evolving as one of the most dynamic and fast growing in the world. This session provides a quick snapshot of the current state of online travel distribution at the Global, Regional and China market level as well as predictions about what the future holds for this exciting segment. The dropping demand especially for star-rated hotels after the Beijing Olympics presents the unprecedented challenges to both Chinese and international hoteliers. But meanwhile, the local economy hotels chains are expanding aggressively by adding more properties and driving their online penetration. So how the hoteliers can maximize their revenue strategy without the concern of losing the market share? 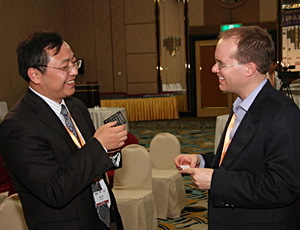 How they can successfully develop the win-win partnership with the Chinese intermediaries? Indian’s online travel market remains a mere USD 2 billion slice out of the sizeable USD 40 billion pie. But investors remain optimistic about the future of India’s online travel marketplace based on its deregulated aviation market and the upgraded IT infrastructure. Listen to Indian's leading travel services company and understand how VIA uses innovative technology to revolutionize the travel domain in India and grows its annual turnover to US$400 million in just 3 years of existence. It’s time for a break! Fuel up on snacks and refreshments, catch some exhibitor demos and approach that leader you have been waiting to meet! The workshops conducted by the leading technology providers and industry experts will provide the travel professionals the hands-on experience and practical skills to drive their revenue, engage with the customers, strengthen the brand loyalty and improve the conversion. How the travel companies increase their ancillary revenue by offering more value-added services to customers? How to measure the ROI for online marketing? How the travel companies develop the effective online marketing mix to improve their conversion? How the travel companies use social media tools to engage with customers and improve their brand loyalty? How the travel suppliers and intermediaries choose the right payment system? 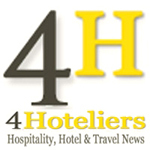 How the 3rd party payment providers help the travel companies improve the online booking volumes? 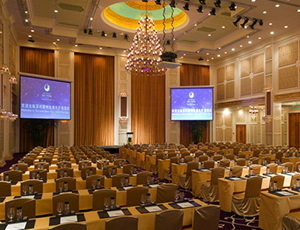 Hotel Distribution and Revenue Management Trends；Revenue Management Key Principles；What is the role of Revenue Manager? How the Chinese SMEs develop its e-commerce strategy with the consideration of their investment budget and current business models? Enjoy a delicious meal and mingle with fellow attendees. 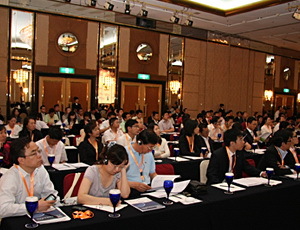 14:00-14:15 Keynote: How China’s travel distribution market will be shifting in the near future? 14:30-15:15 Executive Roundtable: How the Traditional Tour Operators Could Transform Themselves to Compete with the Online Players? The traditional tour operators in US and Europe have been fighting back by leveraging their stronger supplier partnership and integrating the online channels with their reliable and personalized service infrastructure. But the online adoption for Chinese tour operators is still in the very early stage and they have a long way to go to make some real deal online besides having a poor functioned website. So how the Chinese tour operators could well integrate their high street shops with the comprehensive online solutions and win over the online competitors? Bing Yu, General Manager of Inbound E-travel Dept., CYTS International Travel Co., Ltd.
15:15-16:00 Executive Roundtable: Cruise Travel—How Far It Is from Chinese Consumers? The cruise travel has been booming over the past several years in China market and Taiwan has welcomed the largest cruise group from mainland China with 12,000 travelers joining nine different groups. But the cruise travel is still being perceived as a luxury product by normal Chinese travelers and the distribution channels for cruise travel are still underdeveloped with very low online penetration. So how the international cruise companies can appeal their products to Chinese consumers? And how they can develop the efficient distribution network in the next decade? How long it will take for Chinese to book cruise online? It’s time for a break! Debate the day's proceedings and approach that leader you have been waiting to meet. 16:30-17:15 Executive Roundtable: Are Chinese Ready To Rent a Car to Travel?